For more pictures, check out bookofart on flickr, or you can purchase his work on etsy. This entry was posted in Uncategorized and tagged art with books by janicu. Bookmark the permalink. Oh, those are very cool! I looked at some wreaths on etsy that were made from book pages. Very tempting. Part of me hurts at the damage to the book, but there are plenty of books out there that really aren’t being read — this is a nice way to appreciate them in a new life. 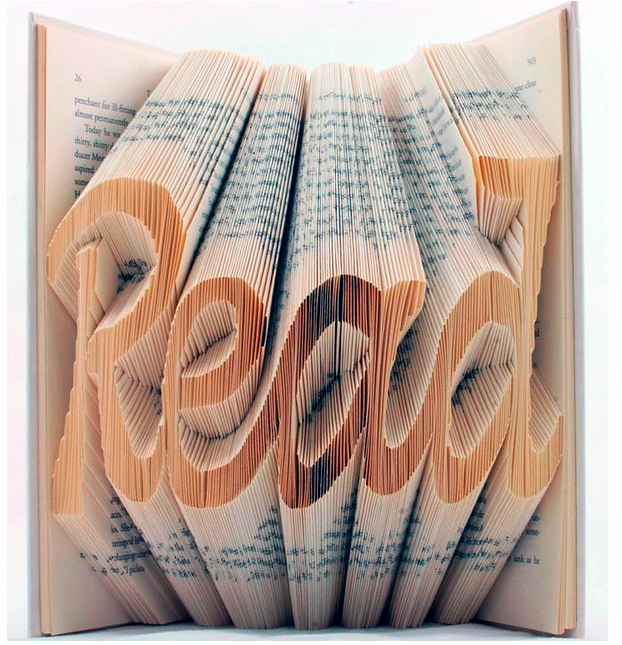 Yes, that’s the one thing — you have to do this to a book! Makes you cringe a bit. I looked on his etsy though and he’s used old Readers’ Digests condensed books or old hardbacks no one wants at FoL sales.. which I don’t feel too bad about. These are so cool! I want one. Thanks for posting. The “Read” one is by far my favorite. He’s selling them for $150 each on his etsy. I’ve seen the Read one in a picture in We Heart It. 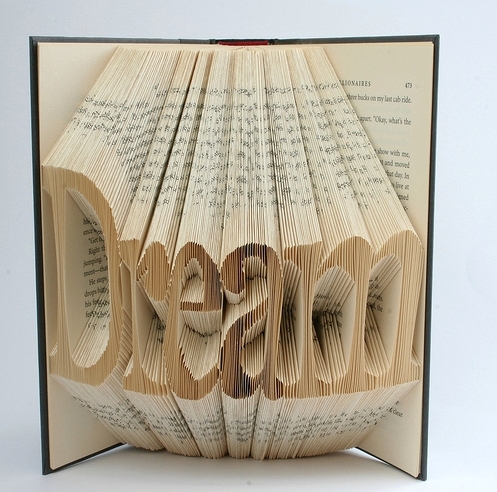 So cool that he does book sculptures! The Read one is my favorite. Pretty cool, but probably also pretty time consuming to do. You do love that We Heart It website. I must look at this place: I see it linked on your post pictures a lot. I spent two hours on that site yesterday. It’s full of gorgeous pictures! Yes, it’s a brilliant idea! I can’t imagine how long it takes to do each one though. I love that! 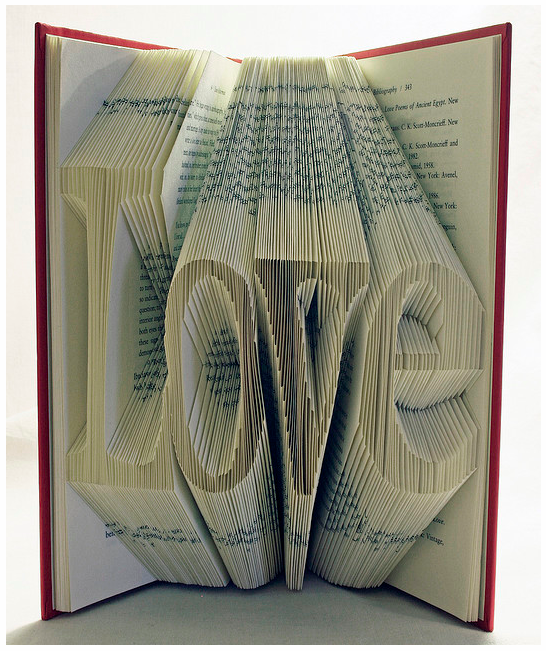 What a great way to recycle books. Thanks for sharing!